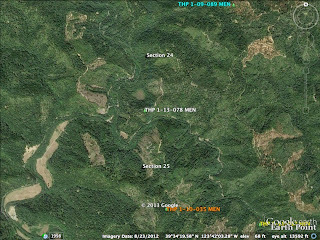 THPBlog: Campbell Timberlands to log near the Middle (Clark) Fork of the Ten Mile River. Campbell Timberlands to log near the Middle (Clark) Fork of the Ten Mile River. THP 1-13-078 MEN (Lower Clark White THP) Campbell Timberlands, 98 acres; 100% selection logging. Bald Hill Creek, Bear Haven Creek (MD: T20N R17W Sec.24, 25). Winter operations, moderate erosion hazard, steep slopes over 75%, 8 road drainage work sites, impaired 303.d watershed, herbicides, coho watershed, 9 spotted owls within 1.3mi, scattered large trees. Estimated public comment deadline: 10/20/13. 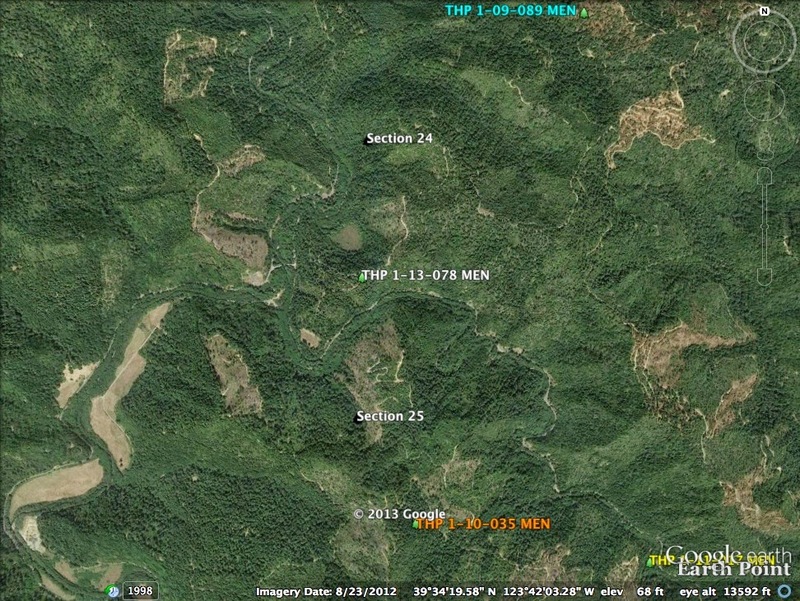 This THP is about 8.5 miles NE of Fort Bragg, CA, and just east of Highway 1 at an elevation of 40 to 480 feet. The THP area drains into the Middle (Clark) Fork of the Ten Mile River which supports Coho, Chinook Salmon and steelhead and is listed as impaired for sediment and temperature. Campbell Timberlands is planning a tractor and cable logging operation in 100 year old second growth redwood and Douglas fir on steep and unstable slopes. There are 4 shallow landslides within the THP area including old fill failures and cutbank failures. Three roads are proposed for use within a streamside area in unit A for yarding, and tractor operations are proposed on steep slopes exceeding 65% at 3 locations. Eight road drainage sites are planned for work including rocking, culvert maintenance and road bed reconstruction. An osprey nest and marbled murrelet stand were reported near a haul road. More information is available on the THP Tracking Center website.